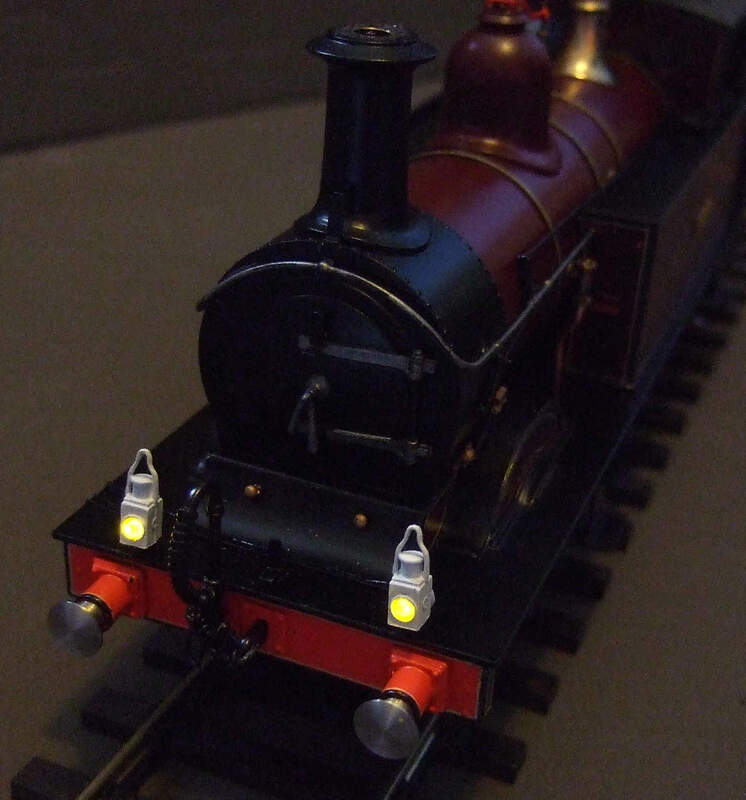 We can supply and fit working yellow and red lamps for '0' gauge. If you prefer to fit your own, we can supply the lamps separately. For supplying and fitting working lamps to an '0' gauge tank engine the price is � per lamp, if fitted at the same time of a DCC conversion. If retro-fitted to a loco that is already DCC fitted, or to a DC loco, there is an additional charge of � per loco (not per lamp). For tender engines where the DCC decoder is located in the tender the prices are the same as above for the tanks. The exception is if you require additional functions, for example for smoke or firebox flicker. 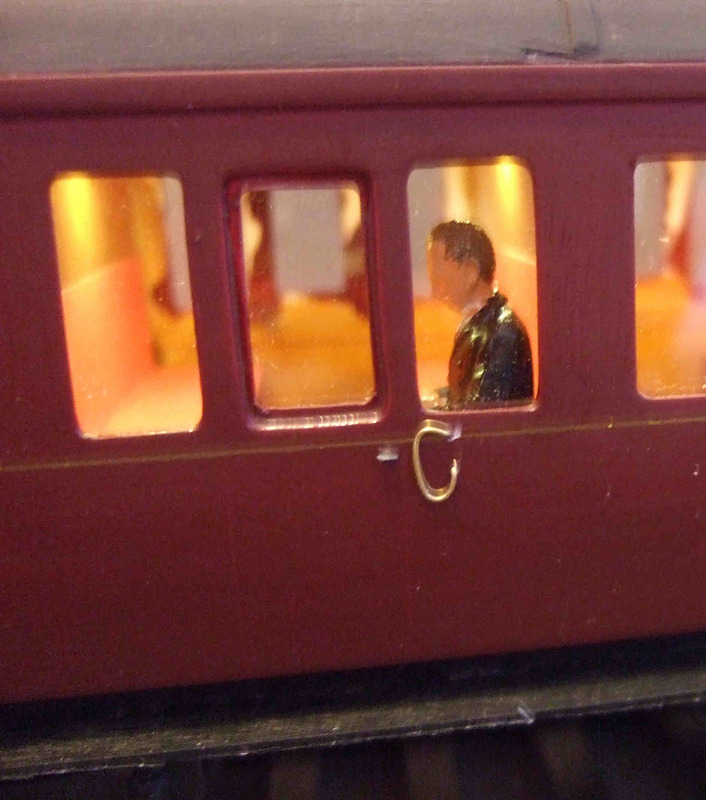 This is due to the limitation of the number of wires in the plug and socket connection between loco and tender used when converting to DCC. An additonal decoder is required at the cost of �. 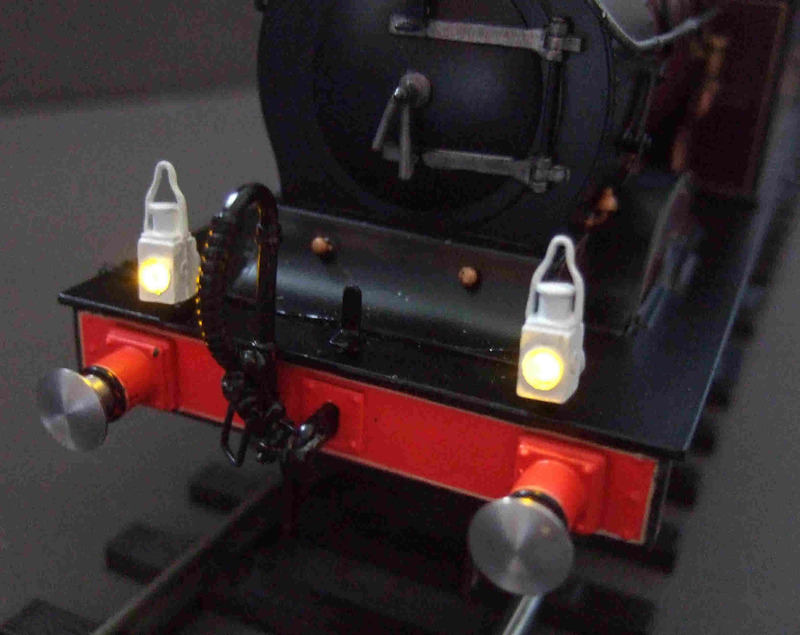 Firebox flicker can be installed in your loco for � (DCC only). Retrofit extra charge of � as for lights (but for lights and firebox flicker installation only one retrofit charge). We can install internal coach lights for DCC and DC/analogue. For a basic installation the cost is �. If you have DCC and want to switch the lights on and off this is an extra � per coach. For DC/analogue if you want to have constant brightness lights with a stay-alight option this is an extra � per coach. 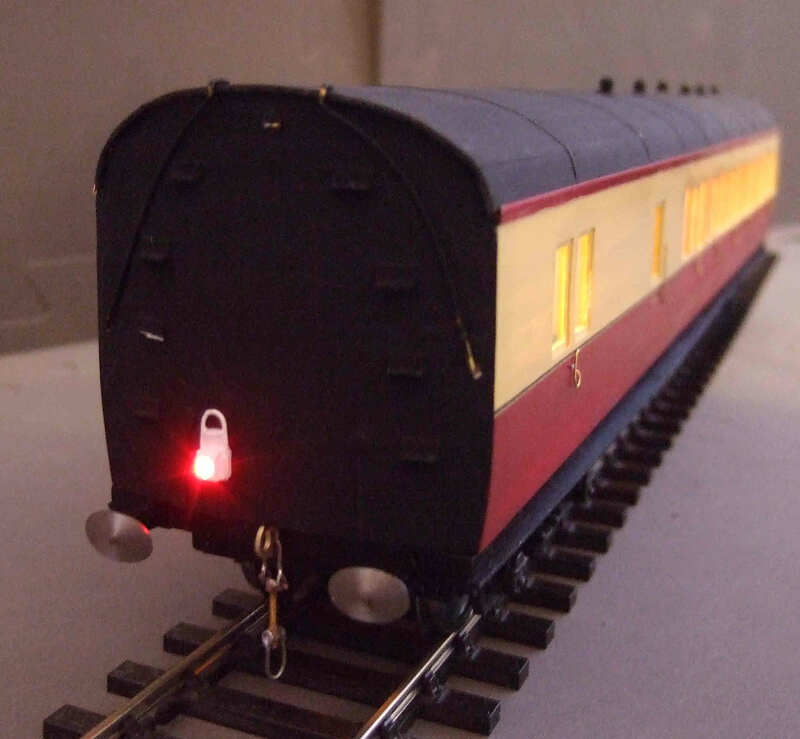 If you want a red oil lamp on one end of your coach or wagon this is �. On DCC it will be on all the time unless you have a decoder fitted (as above) when it can be independently controlled. On DC we can set your lamp up to be constant brightness with a stay-alight option and only come on when at the rear of your train. Alternatively you can have it controlled via a switch. We also sell our oil lamps for self fit. We try to keep a small stock but they are usually assembled to order. These lights have very fine wires (enamel covered) so they are easy to fit and conceal. They can be made rear or bottom entry. We can supply yellow or red in BR, LNER, GWR, SR or LMS designs. These lamps are � each and include a series resistor. Please note prices don't include return postage. You can pick up or drop off your loco if you prefer (we are in North Leeds - please contact us first).